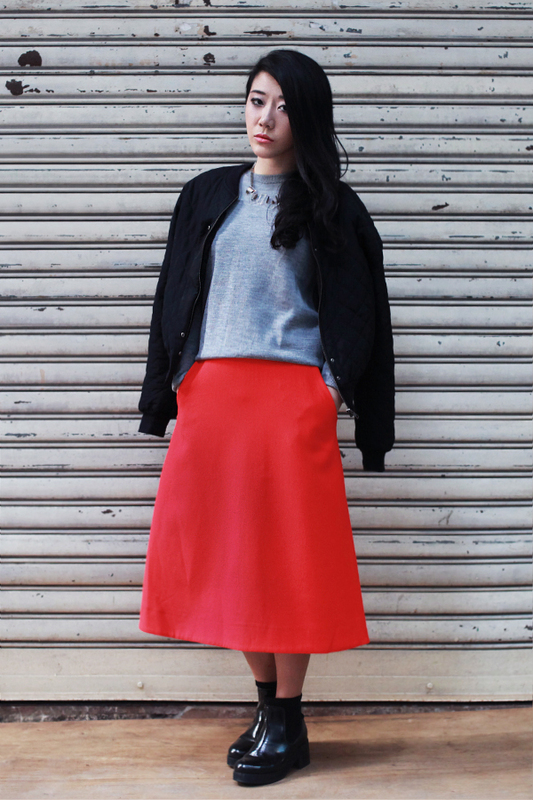 COS jumper and mid-length skirt, Hong Kong boutique bomber jacket, Topshop necklace and boots. I’ve been looking for the perfect skirt to go with my platform utility boots and my bomber jacket to create (in my humble opinion) the look of the season. It’s all about the length and the shape of the skirt (shorter than maxi, longer than mid-calf, and has to be A-line). I got mine from COS (aka the company which stole my fashion wishlist) and you may find yours here, here and here or consult Harper’s Bazaar’s chicest ways to wear the midi. 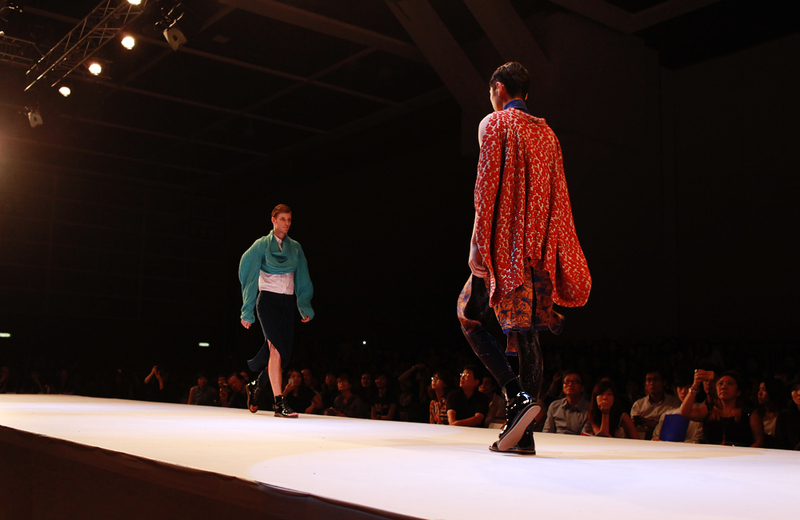 Back in June I was invited to PolyU Fashion Show where the undergrads present their final year project. The Institute of Textiles and Clothing in Hong Kong Polytechnic University is the most prestigious fashion design school in Hong Kong. With the likes of Vivienne Tam as alumni, the graduation show is definitely much more than a school project for the local fashion scene. The following are a few personal highlights of the show. Winner of the Overall Grand Prize, the Outstanding Menswear Award and the Creativity Award. 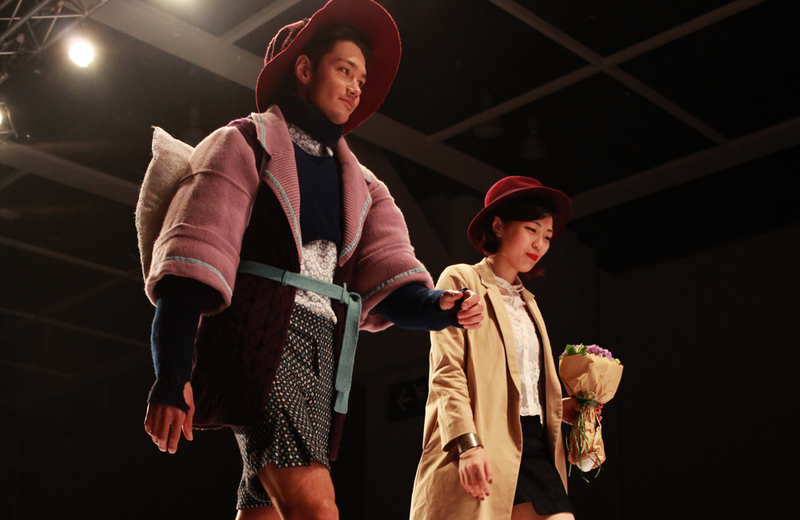 Lee Pak Ho has certainly made his point of being an advocate for sheerness in menswear. The opening piece was a little bit of a shock to me but the rest are simply brilliant. The strongest piece in the collection would be the overall sheer plaid suit and the “cloudy” suit. Having said that, I probably won’t dress my boyfriend that way. Francesca Chin‘s Time Sculptor collection is my favourite collection in the show. I love the form-fitted jacket with embossing details in cream color paired with knitted pencil skirt, also the turtleneck maxi dress with silver embroidery and the black lacer cut mini dress. The overall image of the collection is almost warrior-like to me. But the designer has carefully executed the collection into highly wearable pieces. Zac Tso‘s Tribe Futurist collection looks a slightly over-designed to me, but I do like certain details he experimented with this collection – the sportswear-inspired side slit maxi skirt and the beaded cape jacket. Reichen Man‘s collection Coral definitely captured the imagination of the audience. showcases sophisticated craftsmanship. The bold pieces, though unwearable to most, demonstrated refined craftsmanship and sophistication in the pairing colors. I would love to see an accessory line by him. Yankee Leung‘s Futurist Classic collection is a close investigation of the many possibilities of the future suit – The oversized sweatshirt which ensembles a suit jacket, the cut up tuxedo cape and the white jacket which comes in two pieces- a cropped top and a girdle, all of the above showcases the designer’s effort to re-define the “classic”. The collection is streetwear-inspired, slightly K-pop-ish at times, but certainly a highlight of the show. And it was really lovely meeting Twee from Ezzentric Topz. 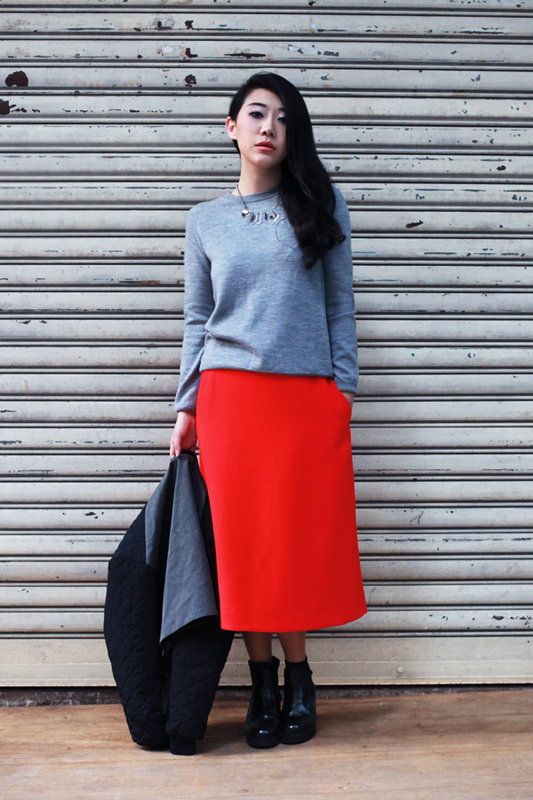 She has recently relocated from Australia to Hong Kong, so make sure that you check out her blog and online vintage shop.